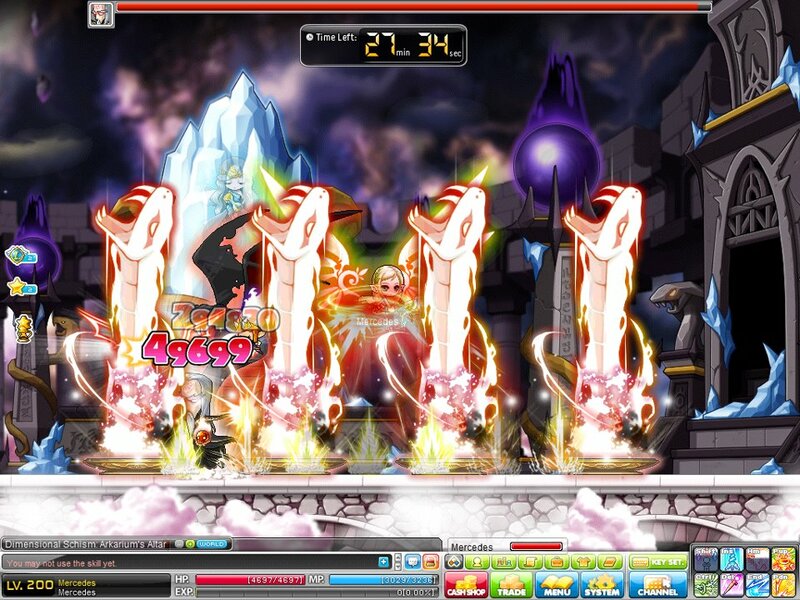 Regained Memory Master Level 1):An Aran exclusive skill that can be obtained through the Arkarium quests. Permanently increases ATT +10, Weapon DEF +300, Speed +10, Critical Rate +5%, and Additional 5% damage when attacking a boss monster. Physical Training (Master Level 10): This is a new passive skill that permanently increases STR and DEX. 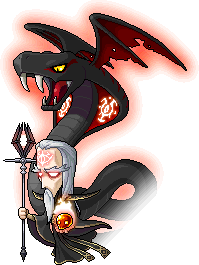 Inherited Will (Master Level 1): An Evan-exclusive skill that can be obtained through the Arkarium quests. Permanently increases M. ATT + 10, M. DEF +300, HP+15%, All Stats +10, and additional 5% damage when attacking a boss monster. High Wisdom (Master Level 10): Passive buff. Permanently increases INT. Teleport Mastery (Master Level 10): Active buff. Permanently increases the teleport distance. 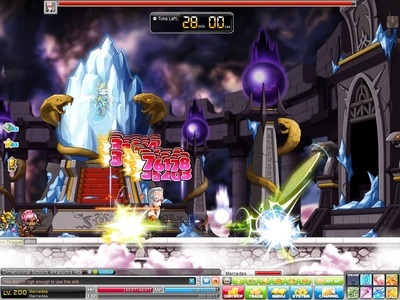 When Teleport skill is used, the enemies near by the destination are hit with damage and stunned at a set rate. The Black Mage stops at nothing to get his way, even if that means altering time to wipe out the past victories of the Silent Crusade. Rediscover the adventure of Silent Crusade and build camaraderie with Starling and Crow. The newest version of Silent Crusade has been added. The previous version of Silent Crusade has been removed. Players can no longer complete the quests in progress. Previous version of Crusader Coin has been replaced with the new version. The Silent Crusade Supply Box NPCs were removed from each town. You can access the shop by talking to Wence in the Silent Crusade Hideout in Edelstein, which is accessible through the hidden portal to the right in the Edelstein City Hall map. Existing Crusader medals, rings, belts, shoulder equipments, and necklaces will remain in the user's possession and will not be removed. No change was made to the Crusader Codex. Master Monsters Portals were renamed Mystic Gates. You will interact with both Starling and Crow regardless of your character's gender. Requirement: You must be level 45 or higher to start the quest chain. The [Silent Crusade] A Cry for Help quest will be delivered through the Event Notifier icon once you reach level 45. 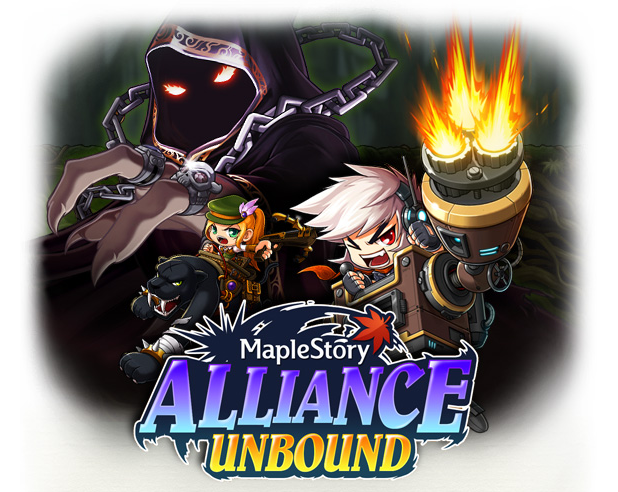 The Silent Crusade is a secret group in Maple World that specializes in eliminating especially powerful monsters. You will hunt many existing Master Monsters as well as several all new ones. Master Monsters are placed in their own unique maps which are accessible through the Mystic Gate. Location of each Mystic Gate is specified in the quest dialogs. You can enter the Mystic Gates 15 times a day. You no longer need to be in a party to enter. Additional Master Monsters unrelated to the Silent Crusade story line have also been moved from their regular maps to special maps that can be reached by going through the Mystic Gates. Completing the quests earns you rings, EXP, potions, medals, and Crusader Coins. You can purchase various special items through Wence in the Silent Crusade hideout in Edelstein. The Crusader Shop contains various potions, weapons, armors, scrolls, and more. Character Requirement: You must be level 120 or higher and must have completed the Silent Crusade and Arkarium chain quests. Expedition Requirement: Each Arkarium Expedition can include 6 to 18 characters. You can access the waiting map through a new portal at the end of Three Doors in Temple of Time. If you die in the battle, you will be resurrected in a map that is only a portal away from them battle. Immortal Hero Set: Equip both Berserker's Eternal Ring and Guardian's Eternal Ring. All Stats+15, Weapon ATT+10. Eternal Hero Set: Equip both High Lord's Eternal Ring and Oracle's Eternal Ring. All Stats+15, Magic ATT +10. The Birth of an Alliance chain quest has been added. 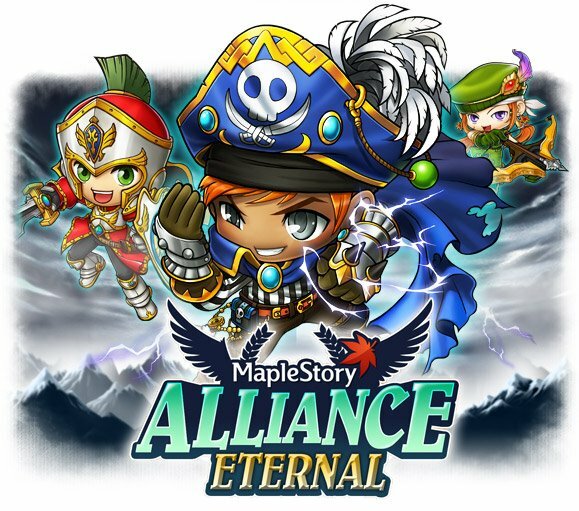 Witness the branches of justice coming together at last and gain a new skill, Willpower of Alliance. To start, accept the following quest through the Event Notifier icon (a lightbulb) on the left side of the screen once you meet the requirements. Explorer (Including Cannoneer and Dual Blade): Reach lv. 75. Cygnus Knights: Complete [Capture the Puppeteer! ], Reach lv. 75. Aran: Complete [Neinheart's Gratitude], Reach lv 75. Evan: Complete [The Target of Rage], Reach lv 75. Resistance: Complete [Protecting Surl], Reach lv 40. Demon Slayer: Complete [Outside World? ], Reach lv 40. Mercedes: Complete [Enemy and Friend], Reach lv. 75. The player has to talk to Cygnus one last time to get their medal and leave the Conference Room of the Alliance. Three new mini dungeons were added. One mini dungeon was revamped. Three new hidden streets were added. A new level 95 quest chain consisting of 31 quests has been added to Ellin Forest. Travel back in time and experience the advent of Victoria Island. Characters level 95 or higher will receive the [Invitation to Ellin Forest] quest from NPC Spiegelmann. Time travel to Ellin Forest through the top portal in Helios Tower (100th Floor). Ellin Forest maps have been revamped from the ground up. Ellin Forest's world map has been updated. New maps have been added to Ellin Forest: Rocky Mountain Cave, Deep Inside the Cave, Fairy Forest 1, Fairy Forest 2, and Queen's Hiding Place. New monsters were added: Violent Primitive Boar (Lv. 107), Ancient Fairy (Lv. 108), and Shining Fairy (Lv. 109). New boss monsters were added: Chao (Lv. 110), and Ephenia (Lv.115). Levels of existing monsters have been adjusted: Moss Snail (Lv. 87), Tree Lord (Lv. 100), Stone Bug (Lv. 104), and Primitive Boar (Lv. 106). A wave of supernatural earthquakes has rocked New Leaf City. Help Mayor Icebyrd Slimm get to the bottom of these phenomena. Characters level 90 or higher can start the new Alien quest chain. The first quest is [The Mayor of Disaster] from NPC Icebyrd Slimm, the Mayor of New Leaf City. Players will be teleported to New Leaf City upon accepting [The Mayor of Disaster] quest. New Leaf City can be reached through the Kerning City Subway Station. NPC Bell has the ticket. New maps, items, quests, cut-scenes, monsters, and bosses were added to New Leaf City and Masteria. Existing maps and quests were redesigned and improved. Certain quests were removed from Crimsonwood Keep: Finding Jack, Translated Communique, The Marker of Heroism, The Brewing Storm, Storming the Castle, The Fallen Woods, The Right Path, The Fallen Warriors, Lost in Translation 1-3, and Stemming the Tide. Warrior, Magician, Bowman, and Cygnus Knights were revamped. Empress's Blessing effects are now amplified based on the level of Noble Mind, a new Cygnus Knight skill. You can increase the skill level of Noble Mind by completing [Stained Soul], a new Cygnus Knight quest. All-new Cygnus Knight quest chains have been added for Lv. 110 and higher players. Investigate and solve the mystery of the Clock Tower as a newly awakend Cygnus Knight!Obtain 5 SP as your reward. 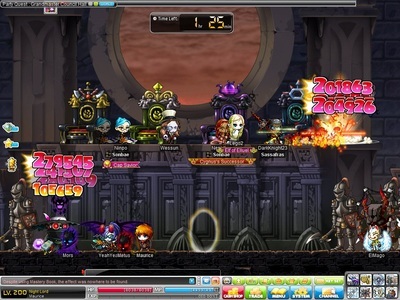 All-new Max Level Cygnus Knight quest chains haven been added for Lv. 120 players. Pursue Arkarium through the Dimensional Crack and put an end to his evil schemes! As a reward for defeating him, players can raise the skill level of Noble Spirit by one level up to 6 times. Lion King's Castle has been upgraded to a themed dungeon. Players no longer need to do a Von Leon expedition to complete the [The Mistrustful King] and [The Deluded King] quests. New Level 110 quests were added. To start, talk to NPC Krag at Lv. 100 or higher. He will teleport players to the Desolate Moor. 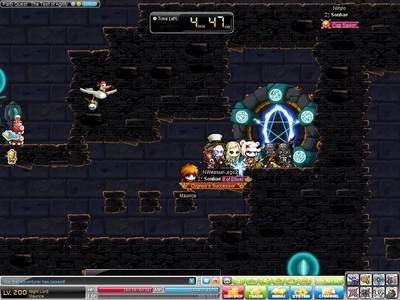 The previous versions of Ani, a boss mob, have been removed. The new Prison Guard Ani has been added. Players will advance through several towers and face the boss monster, Prison Guard Ani, at the end. Players must be in a party of 1 to 3 Lv. 118 or higher players to enter Ani's Jail. Upon defeating Ani, players will receive 1 Luden's Mastery Book, 1 Heart of a Lion, and EXP. The invitations that were sent to the players at the top of every hour have been removed. Luden's Mastery Book will yield a random Mastery Book for everyone except Cygnus Knights and Dual Blades. Cygnus Knights and Dual Blades will obtain the Special Potential Scroll instead of a Mastery Book. Prison Guard Ani will drop Ani's Box, which contains various scrolls and items, including Lion King's Scrolls. Lion King's One-Handed Weapon ATT Scroll: Beefs up Weapon Attack on any one-handed weapon. Success Rate: 70%, Weapon ATT +2, All Stats +1, does not destroy item upon failure. Lion King's One-Handed Weapon M. ATT Scroll: Enhances Magic Attack on any one-handed weapon. Success Rate: 70%, Magic ATT +2, All Stats +1, does not destroy item upon failure. Lion King's Two-Handed Weapon ATT Scroll: Beefs up Weapon Attack on any two-handed weapon. Success Rate: 70%, Weapon ATT +2, All Stats +1, does not destroy item upon failure. Ani's Box will yield up to 2 Equipment Scrolls and 2 Potential Scrolls per character. Up to 5 weapon scrolls can be obtained per character. No character can obtain scrolls from Ani's Box after reaching Level 140. For a limited time, upgraded Von Leon weapons with Epic potentials will be available through the Token shop. The upgraded Von Leon weapons will have the same set effects as the previous versions. The upgraded weapons can be purchased with the Royal Lion King Medal. Hard Mode has been revamped as a tower defense mode. Defend against 20 waves of monsters heading toward the Obelisk and receive sweet Nett's Emeralds! The level requirement for Hard Mode has been lowered from Lv. 100 - 119 to Lv. 90 - 109. Players can attempt up to 5 times a day. Players must be in a party of 4. Players can obtain Nett's Emeralds in both Normal Mode and Hard Mode. Trade in Nett's Emeralds for sweet Union Immortal Pharaoh items! Union Immortal Pharaoh Belt: Untradeable, REQ LEV: 80, All classes, Belt, STR/DEX/INT/LUK +3, Weapon/Magic ATT +2, Weapon/Magic DEF +60, Available Upgrades: 3, Number of Hammers applied:0, Use the scissor of Karma to enable this item to be traded one time. Ambition and Charm EXP +60 is gained when the item is equipped. Can be used for the Immortal Pharaoh Set effect. Union Immortal Pharaoh Shoes: Untradeable, REQ LEV:80, All classes, Shoes, STR/DEX/INT/LUK +3, Weapon/Magic DEF +55, Speed/Jump +5, Available Upgrades: 5, Number of Hammers applied: 0, Can be used for the Immortal Pharaoh Set effect. Union Immortal Pharaoh Ring: Time bound, Untradeable, Unique Equipped Item, Ring, STR/DEX/INT/LUK +2, Max HP/MP +150, Weapon ATT +1, Can be used for the Immortal Pharaoh Set effect.